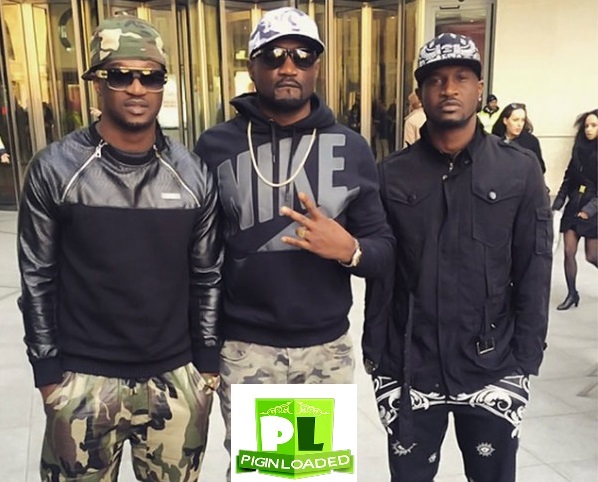 Psquare brothers; Jude, Peter and Paul Okoye, Base the shoutout wey them give Jude wey just welcome him baby girl yesterday with him wife, naso we come take see this video wey them nearly fight and them come dey get cata cata sote them come dey troway assault give themselves inside the Lawyer office. This one happen base on the termination letter wey we see yesterday base on say the group wan scatter. Make you watch the video of wetin sup inseide them lawyer office upon say the layer try to seperate the matter wey sup between these brothers.